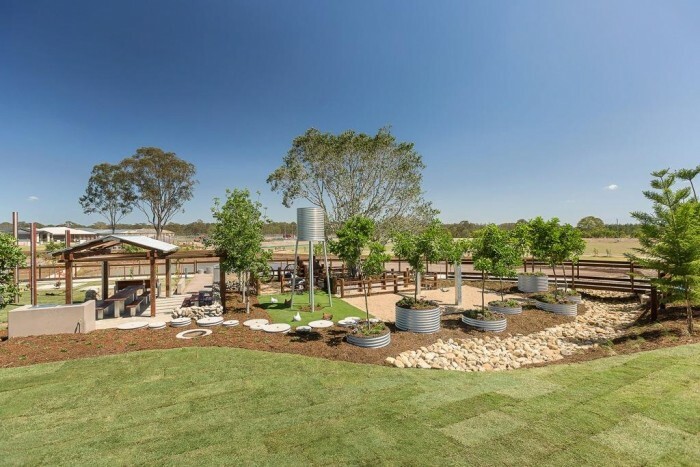 We were excited to be involved in the playground at Stoneleigh Reserve, one of Lend Lease’s developments in Logan. 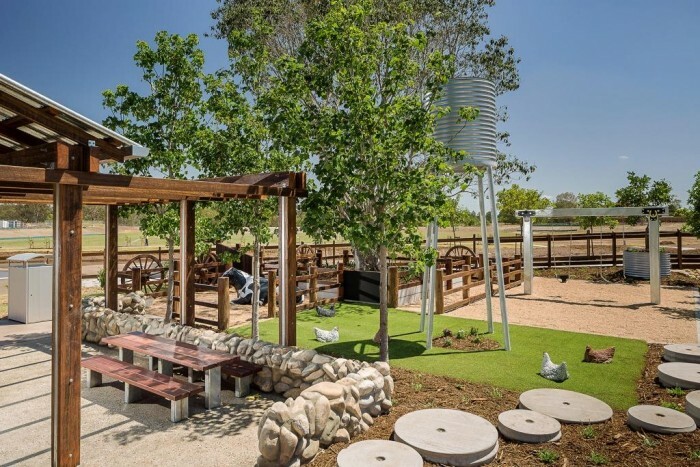 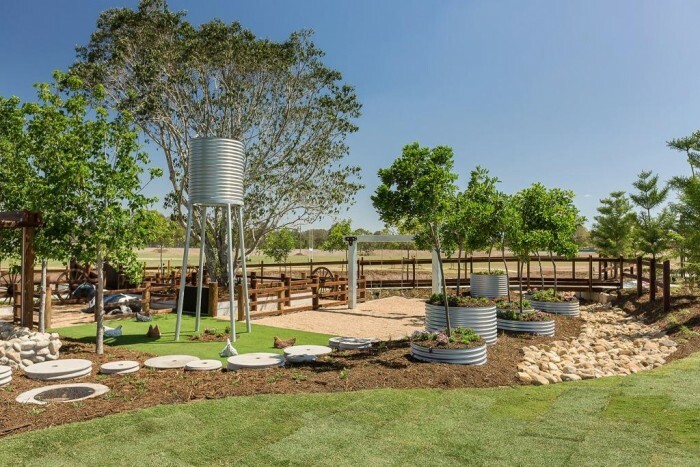 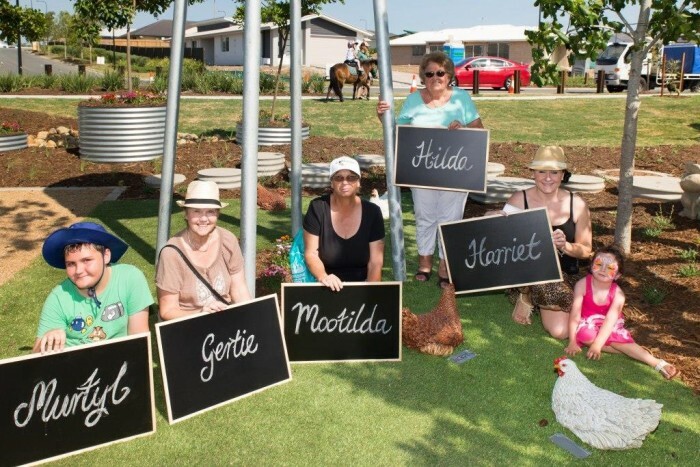 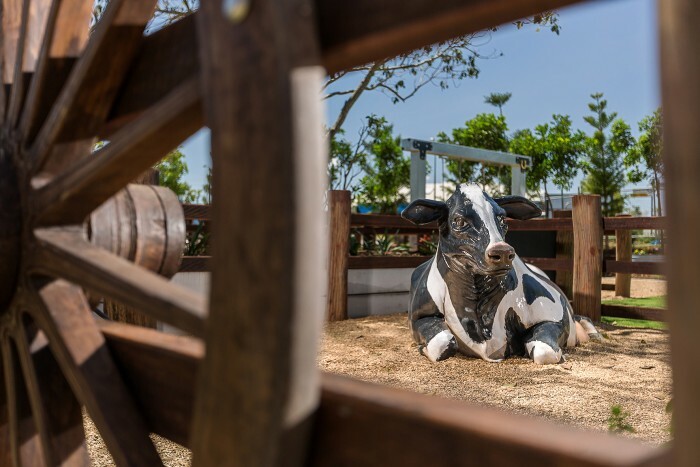 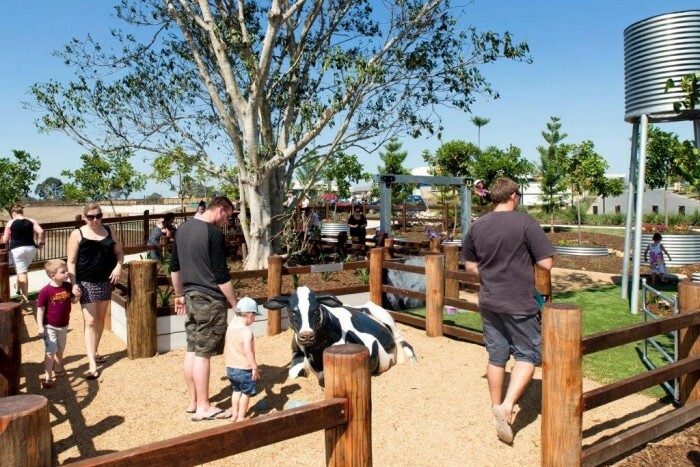 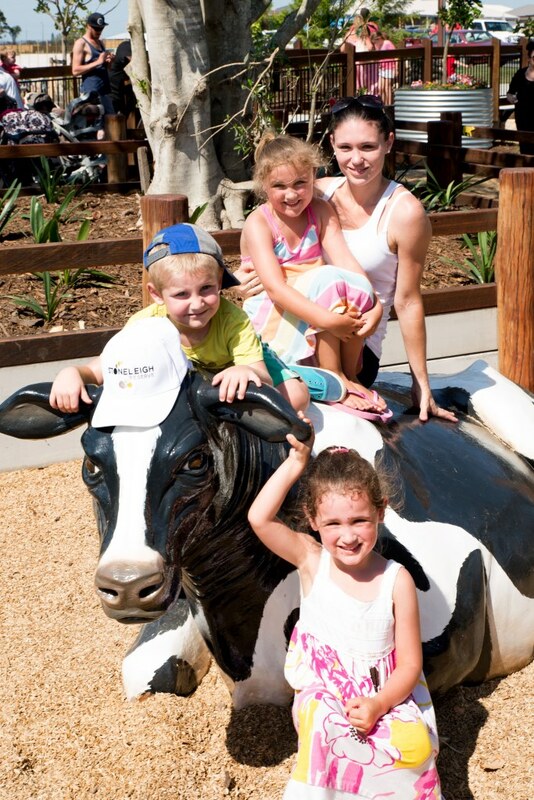 This farmyard themed custom playground has received a great deal of positive feedback from residents and visitors. 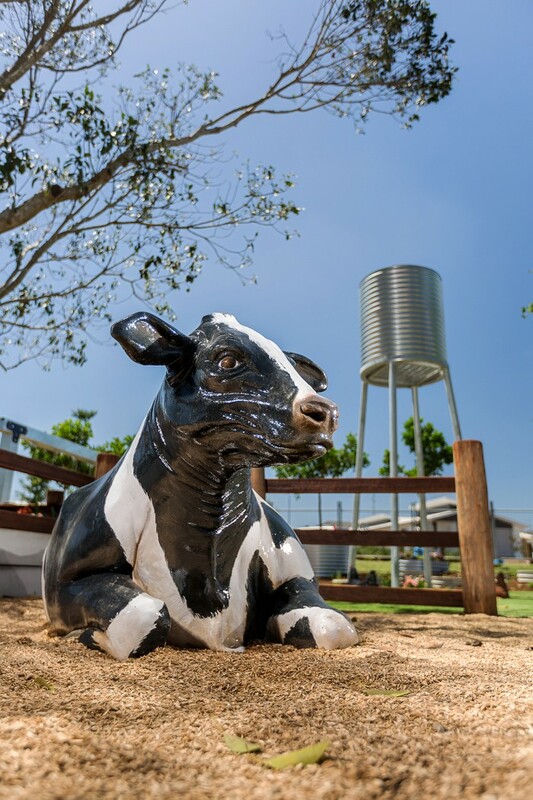 Asked to design and construct “lifelike” and durable cows and chickens, we contracted artist Mark Makhoul to deliver what has turned out to be simply the most stunning cow you ever saw! 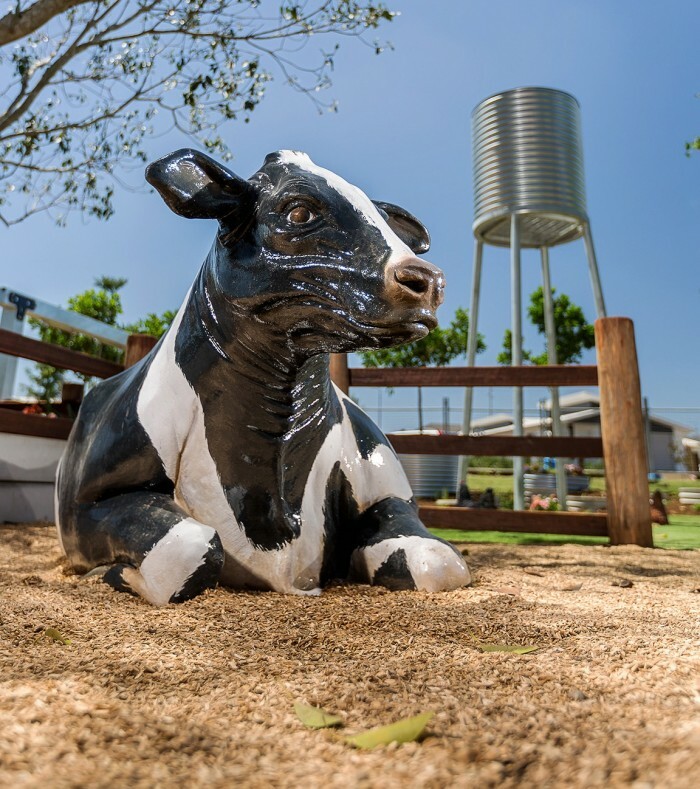 Along with 5 chickens, also designed and constructed by Mark, the cow went into a naming competition hosted by the community with residents. 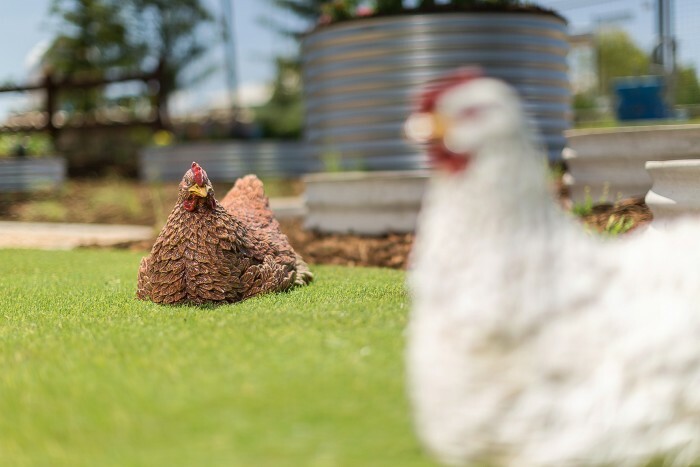 ‘Mootilda’ along with Chick Pea, Murtyl, Hilda, Harriet and Gertie are now all official “Farmyard Friends” of the Stoneleigh Reserve Community and will certainly offer residents tremendous enjoyment in the years to come.